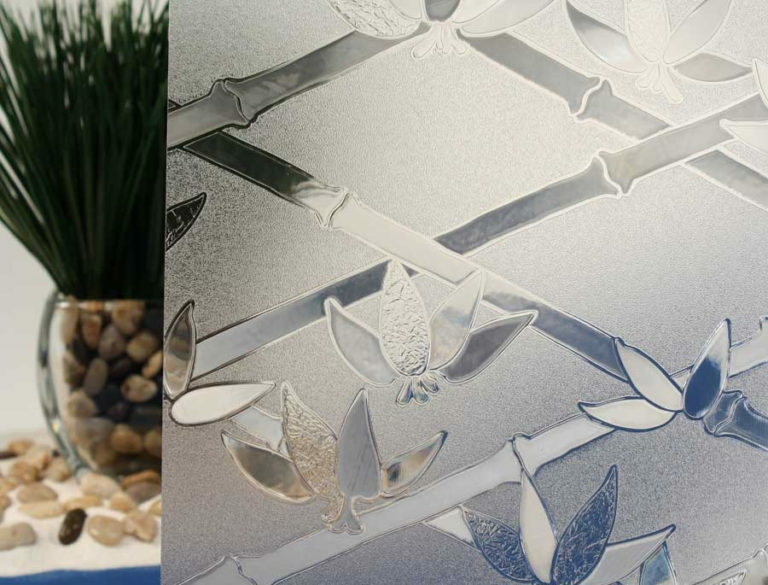 Make your windows dazzle without sacrificing visible light, with our Cut Glass Bamboo Flowers Decorative Window Film. 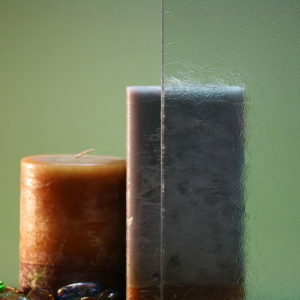 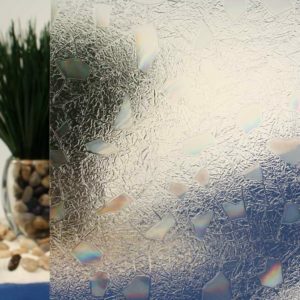 Much like the name would suggest, this pattern mimics the appearance of cut glass, including the prism effect created when light filters through at different angles. 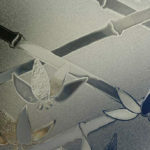 Each flower measures 2″ to 3″ across and about 1 ¼″ high, while bamboo sticks extend the length of the film at a diagonal slant – roughly every 2 ¼”. 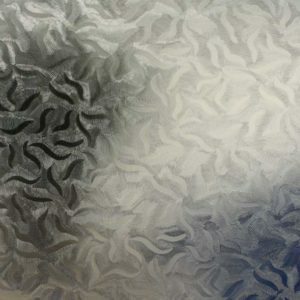 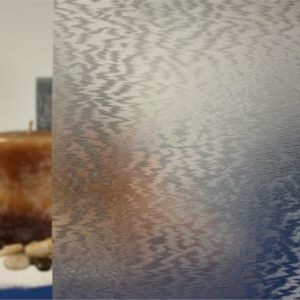 The background is coated with a clear frost that helps to create basic privacy, and the R087009 Decorative Window Film offers one of the highest visible light transmittances, at 80%. 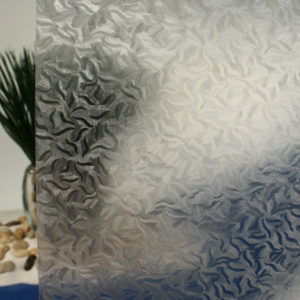 It also provides a UV rejection rate of up to 99%. 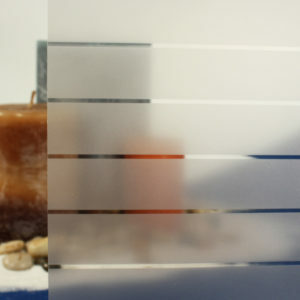 This is an adhesive free film that can be removed and reinstalled at any time. 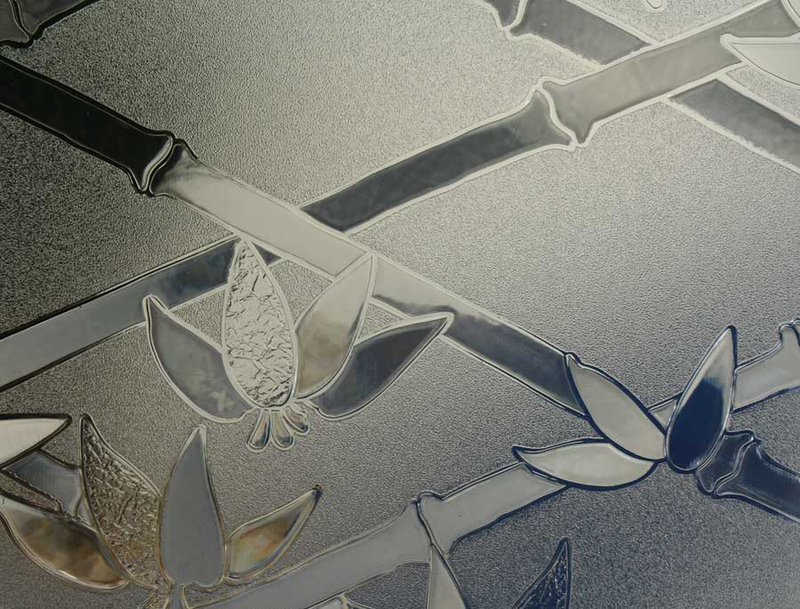 To see this pattern in different colors, check out our Cut Glass Bamboo Flowers Colors.